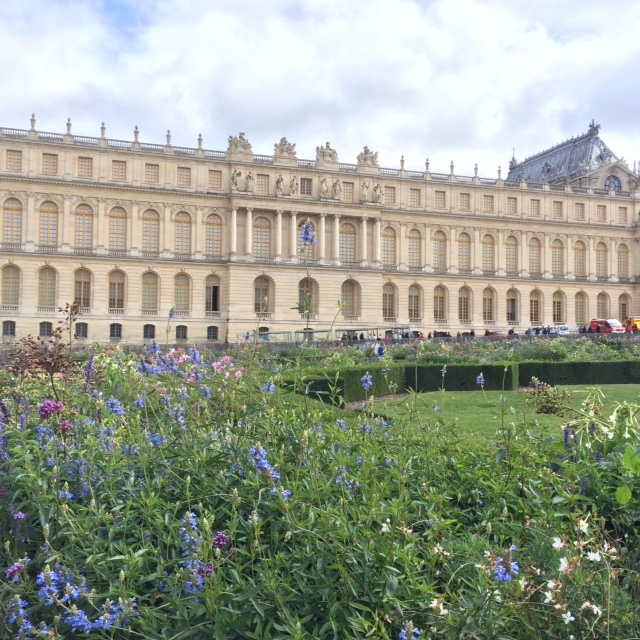 Versailles is more than just the gargantuan palace grounds – it’s also a splendid Parisian suburb you can walk to from the palatial hotels/resorts that boast far more reasonably priced restaurants. Exhausted (and in a light evening rain) we fell into a lovely and casual Chinese restaurant (Le Canard D’Or at 30 Bis Rue des Réservoirs) where we enjoyed decent food and wine and overheard a wedding rehearsal party go through a parade of touching speeches in French – I think I understood about 33% of it – and it made for a perfectly unexpected and interesting final evening in France. This entry was posted in Art, Day Tripping Series, Dining Out, Eurotripping, History, Inspiration, Travel and tagged Anish Kapoor, France, Le Canard D'Or, Marie Antoinette, Petit Trianon, Versailles.